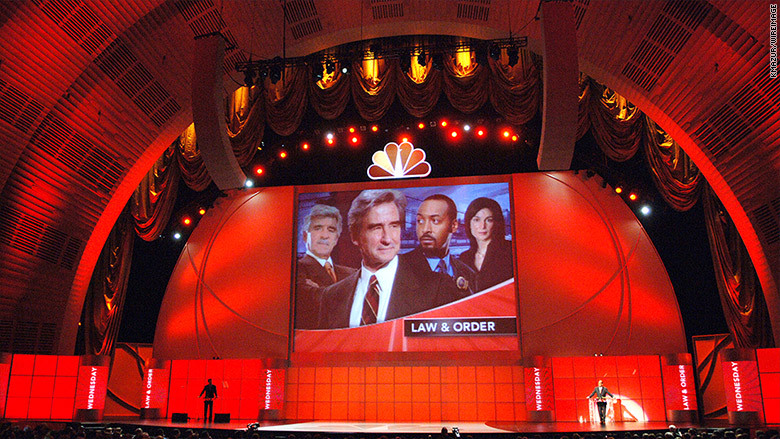 The annual setting of TV's primetime schedule was once like a giant chess match, with billions of advertising time at stake. Executives, producers and reporters pored over the scheduling board, seeking the best intelligence on what shows might go where. Heading into next week's annual upfront presentations, when networks unveil their fall lineups, the details of scheduling brinksmanship have become less elaborate. Thanks to digital video recorders and time-shifted viewing, networks no longer approach the notion of which shows air opposite each other as a zero-sum game. Although DVR penetration has plateaued at roughly 50% of U.S. homes, those devices have profoundly impacted the way networks approach scheduling. For starters, it's no longer assumed that watching one show on a certain night and time means missing another. Moreover, thanks to streaming services like Netflix and video on demand, more viewers have grown accustomed to viewing programs whenever they want. Due to audience fragmentation, there aren't many series that generate the kind of massive lead-in that virtually ensures sampling for new shows that follow them. CBS' "The Big Bang Theory" and NBC's singing competition "The Voice" are among the few that produce a big enough audience to help incubate newly hatched programs. As a consequence, the tone of the scheduling announcements has changed. Networks used to go through their schedules night by night, explaining the rationale behind each time slot. Planning the lineup, executives like the late Brandon Tartikoff, who ran NBC Entertainment throughout the 1980s, really did move over-sized magnetic programming squares around a big board. In recent years, networks devote scant time to such detailed strategy discussions during their upfront presentations. Preston Beckman, who oversaw scheduling at NBC and then Fox before retiring last year, called the reduced emphasis on the competitive importance of scheduling "a self-fulfilling prophecy." "A lot of people feel it doesn't matter," Beckman said. "At the very least, you have to look at your schedule as your home page." In the past, there were some truly dazzling -- and surprising -- maneuvers. Upfront attendees audibly gasped, for example, when Fox moved its still-new animated hit "The Simpsons" to Thursday at 8 p.m. in 1990, directly opposite "The Cosby Show." When NBC placed "Frasier" against "Roseanne" on Tuesdays four years later, ABC subsequently retaliated by flopping the latter with "Home Improvement," a bigger hit. At the time, "Home Improvement" star Tim Allen expressed sympathy for fans. "As a TV viewer from way back, I don't like it when two good shows are on at the same time," he said. "That was really throwing down a gauntlet," Beckman said of the "Frasier" move, adding in regard to the intricacies of scheduling, "It was a sport. There's less playfulness now. It's lost a lot of the fun." The stakes nevertheless remain high as the broadcast networks -- ABC, CBS, NBC, Fox and CW -- prepare to unveil their lineups. In 2015, more than $8 billion in advance ad commitments were made. According to Variety, the market could be somewhat more robust this year, reversing a recent downward trend. One thing, though, hasn't changed: The traditional uncertainty regarding how new schedules will perform, despite all the sweat, research and brain power invested in them. Beckman recalled the former president of Fox, Peter Chernin, regularly asking after the lineup was finally set, "So when all this fails, what do we do?"